cloudy abhi ☁: Salesforce launches the internet of Customers "Salesforce1"
Salesforce launches the internet of Customers "Salesforce1"
Salesforce1 is meant to allow the rapid creation of apps that can work across Salesforce's sales, service, and marketing apps, as well as on top of its Force.com, Heroku, and ExactTarget Fuel platforms, all at the same time. Salesforce1 is a free, automatic upgrade for existing Salesforce customers. Developers can create next generation apps. Salesforce1 was built API-first to enable developers to build the next generation of connected apps. 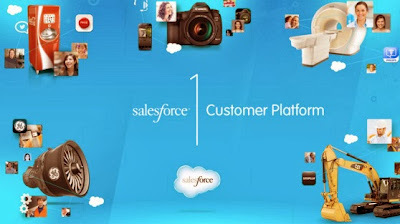 Built for next generation applications, Salesforce1 has 10 times more APIs and services built-in, for developers to build quickly, and easily create personalized experiences for connect smartphones and wearable smart devices. 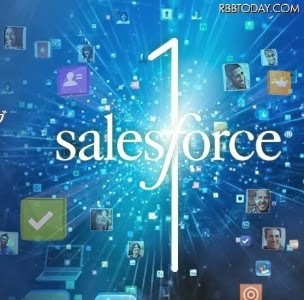 With Salesforce1, every ISV can accelerate their growth by building, selling and distributing apps for the connected customer. ISVs such as Evernote and Kenandy are building mobile-ready apps on the platform and leveraging the power of the Salesforce1 AppExchange to market and sell these apps. A new mobile app built on the Salesforce1 Customer Platform allows users to access and experience Salesforce everywhere on any form factor. Salesforce1 is a new home base for Salesforce mobile, providing access to core customer relationship management (CRM) features as well as custom and partner apps. It’s also a platform for developers, who have access to 10 times more Salesforce APIs than they did before. I love this blog. Very Informative and up to date.